Major League Baseball enlisted a little star power to help announce its latest youth initiative in Japan. 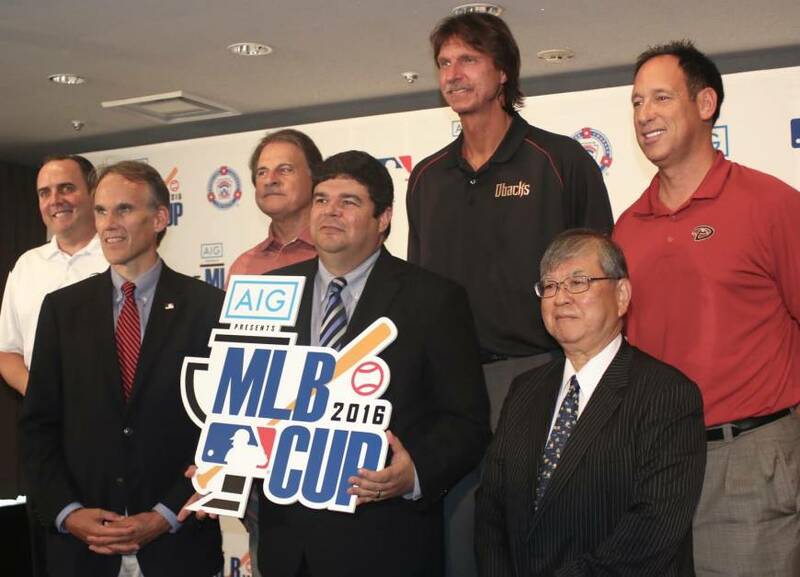 Representatives from the Arizona Diamondbacks, including recent Baseball Hall of Fame inductee Randy Johnson, Tony La Russa and Luis Gonzalez, took time out of their goodwill tour to Japan to help announce the MLB Cup, a little league competition scheduled to take place in the country next year. “The kids in this age group didn’t have a national championship,” Small said. The MLB Cup will feature teams from all over Japan and run from May until September next year. The teams who make it out of their respective regions will advance to the finals, which will be played in Ishinomaki, Miyagi Prefecture, one of the areas most affected by the Great East Japan Earthquake and tsunami in March 2011. MLB and its partners at the JLLBA and AIG are still ironing out the details of the event, which, if successful, could one day spread to other parts of Asia. Johnson and Gonzalez, who were little leaguers long before being famous major leaguers, spoke of the importance of baseball at the youth level. “Little League baseball is extremely important for our youth,” Johnson said. “It’s an outlet at an early age to allow them to have fun and make friendships with their teammates. The organizers are hoping the event helps instill a love of baseball among the younger generation. Most importantly, Small said, is that the event proves to be fun and memorable for all.